The HB Mini level transmitter is specifically intended for use in pasteurization balance tanks. Uniquely designed to thrive in sanitary process environments the HB has the durability to withstand pressurized wash-downs, cascading water, and condensing humidity. Dual diaphragm architecture, fully potted electronics and a welded sealed stainless enclosure assure years of trouble free service. 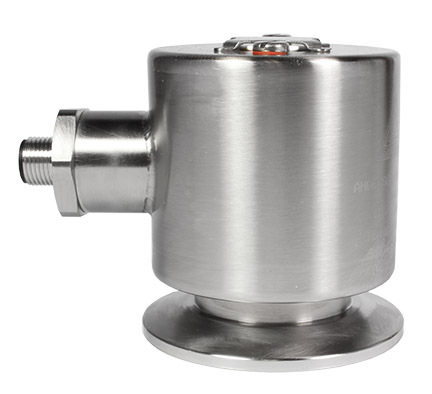 Utilizing a highly accurate pressure cell to measure hydrostatic head, the HB ignores false level readings from foam, accommodates low or nonconductive fluids and conveniently mounts on the bottom or lower side of vessels. Compact in size with a 2” Tri-Clamp connection, the HB is easily mounted in the tightest of piping layouts. The HB is available in three ranges 20” to 60” (HB1 low-range), 60.1” to 100” (HB2 mid-range) and 101” to 160” (HB3 high range). 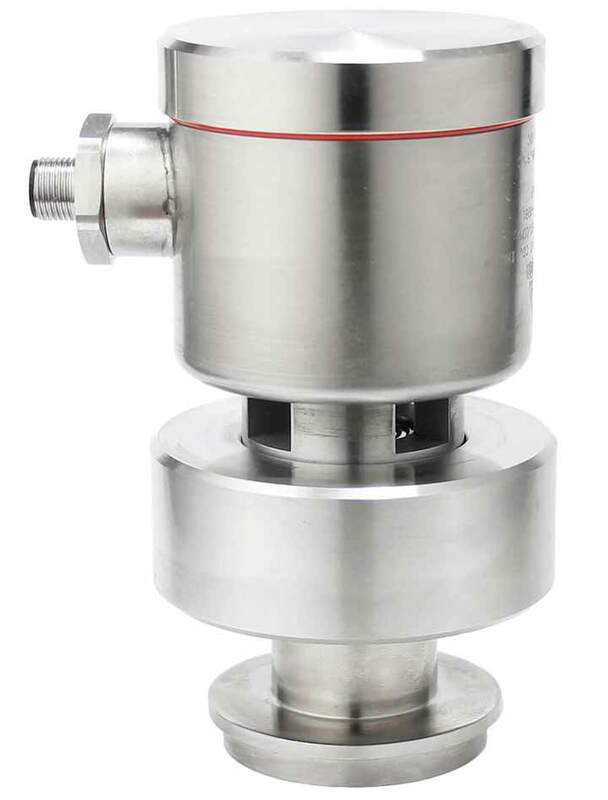 Internal temperature compensation allows the transmitter to perform accurately at temperatures to 200°F (93°C) and withstand CIP and SIP to 250°F (121°C). Standard m12 quick disconnect receptacle when paired with the Anderson shielded molded cord-set provides a secure and convenient waterproof connection; alternatively available with sealed, shielded cable with ½” female NPT to accommodate conduit connection.